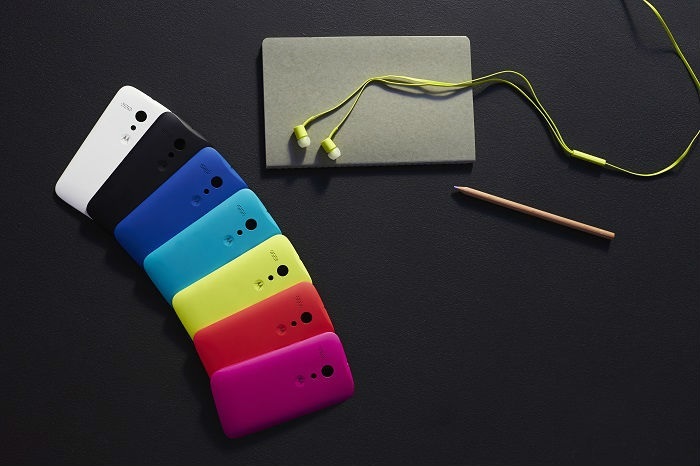 Last month, Motorola announced it will shed some light on the launch details of the highly affordable Moto G in India on February 5th, that is, today. Motorola has launched the Moto G on Indian shores for INR 12,999 (almost $210) for the 8GB model while the 16GB version will retail for INR 13,999 (almost $225) inclusive of all the taxes and shipping charges. The handset will be exclusively available from FlipKart, an online retailer, from 12AM IST February 6. Unlike the US, the Moto G version launched in India come with dual-SIM flavors, which is quite popular in emerging markets like India. This should also makes the deal more attractive, in addition to its affordable price tag. The handset rocks a 4.5-inch display boasting a resolution of 1280 x 720 pixels, and is powered by a quad-core 1.2GHz Snapdragon 400 chipset. Moto G comes with 1GB of RAM, 8/16GB internal storage, 5MP rear camera for photos and videos, 1.3 megapixel front-facing camera, 2,070 mAh batter, WiFi 802.11 b/g/n, Bluetooth 4.0 and runs Android 4.3 Jelly Bean pre-installed out of the box. Moto G in the US and Europe has received the Android 4.4 KitKat update, and it would be interesting to see how long it will take for the Moto G to get KitKat blessing. If Motorola continues to push timely updates for its handsets in other markets as well, I’m pretty sure it will receive a very good response.